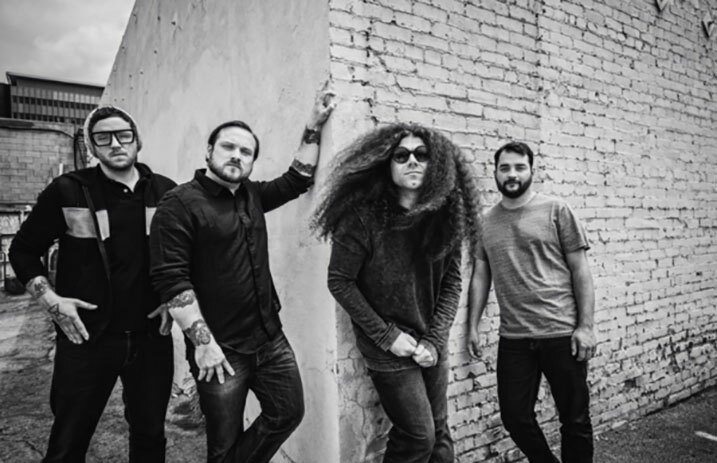 Coheed and Cambria have announced a US tour that you simply cannot miss. The tour, entitled NEVERENDER GAIBSIV, will feature Coheed playing Good Apollo, I’m Burning Star IV: From Fear Through The Eyes of Madness in it's entirety at every non-festival show. Tickets go on sale Jan. 27 and can be purchased here. The band got our attention with a mysterious video posted yesterday. Fans began discovering secret messages in the video including “1/24/17” and “pw: tenspeed.” Check out “So run little children, play” below! The Dear Hunter will also be joining Coheed on this tour. The Dear Hunter also joined Coheed and Cambria on tour back in 2010 when Coheed was supporting their fifth album Year of the Black Rainbow. This tour is bound to be another staple of the NEVERENDER series of concerts they've done. NEVERENDER is the moniker given to these album performances by the band and it first started in 2008, when Coheed performed their first 4 albums over 4 nights – completing the feat in 4 different cities – New York, London, Chicago and Los Angeles. This tour isn't the only exciting news coming out of the Coheed camp either. Comic Book Resources has revealed that frontman Claudio Sanchez plans to release a 12-issue comic book series for Good Apollo as part of his Amory Wars series which will debut this April. The Amory Wars: Good Apollo will be written by Sanchez alongside his wife Chondra Echert. Rags Morales will be doing the art for the series. Morales did the art for DC's reboot of Action Comics in 2011. Good Apollo, I’m Burning Star IV: From Fear Through The Eyes of Madness was Coheed's third album and peaked at No. 7 on the Billboard 200 back in 2005. Where will you be seeing this amazing tour? Let us know in the comments!